Today is the last in the series, with Labour Party leader Jacinda Ardern. Hosted by Frances Cook. Politicians are always banging on about the economy; who has the better understanding of it, how they're the person to get our ... See More economy running hotter, why the other guy's ideas are stupid. So, I had a chat to the freshly minted leader of the Labour Party Jacinda Ardern, about the lessons she learned trying to budget from a young age. We also talked about how the budgeting lessons from her mum changed Ardern's relationship to money, how difficult it is for people to resist loan sharks, and how much responsibility schools have for teaching financial literacy. Already out: Prime Minister Bill English, United Future leader Peter Dunne, Maori Party co-leader Te Ururoa Flavell, Green Party co-leader James Shaw, ACT leader David Seymour. Have a question about this podcast, or a suggestion for next time? Come and talk to me online. You can find me on Facebook here https://www.facebook.com/FrancesCookJournalist/, and Twitter here https://twitter.com/FrancesCook. 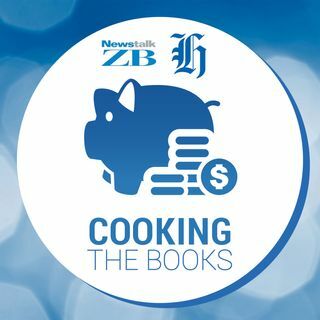 Don't forget, you can subscribe to this podcast here https://itunes.apple.com/nz/podcast/cooking-the-books-with-frances-cook/id1247311946 and on the Apple podcasts app.